It’s time to make your TV smarter, have access to all your favorite games, TV shows, and movies. FindPare.com shopping engine has filtered for you the best Android boxes to stream all video content and support music streaming apps to your TV over the internet or from local storage. How can top Android TV box change your life? 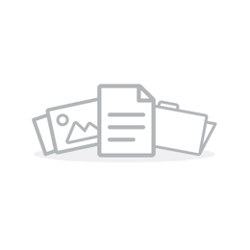 An Android TV box is an incredibly flexible device that runs on the Android operating system. Many of top android boxes are capable of playing 4K video and carry a small price tag. 4K Android TV boxes found here are a great option due to the low price points and powerful systems. 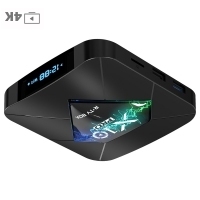 Nowadays, with the invention of the Android TV box, you can simply go online with a few clicks of your remote and bring up that video right to your living room TV. 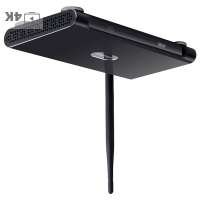 One of the essential advantages of an Android TV box is its #versatility. Apps can be downloaded from the Google Play Store, installed and do almost anything a standard computer can do from streaming videos to writing an email. So, top Android TV boxes change your TV watching experience into something completely new by allowing you to watch 1080p videos on your TV with ease. The best Android TV box changes the way we use our TVs. 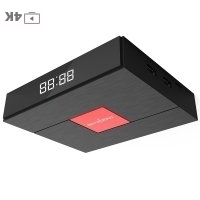 So, another popular feature of having Android box is the #social aspect. For instance, users allowed to check emails, chat online through various services, share interesting links and new stories right from the TV. As the TV screen is used instead of a phone screen, tablet screen, or laptop, everything is easier to see. It means your favorable TV shows, video games, articles, etc. now available on a big screen. Isn’t that great? And, of course, we should talk about the #price. 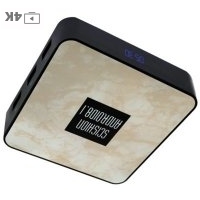 Cheap android tv box, which offers many possibilities, is a dream for everyone. How does the best Android TV box work? Android TV is simple to use. When you fire up your television or set-top box, you'll see the main home screen. It has a vertical stream of rows, to be able to navigate rightward through each row. So, you should just pick up one from the best Android TV boxes list. At the top of the interface, you will see the search utility. 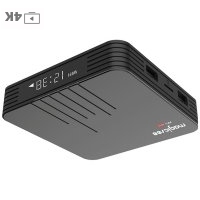 Best Android boxes support voice commands. In fact, the entire interface is based on voice-activated searching, which can use through the one-click-remotes. When you speak a search, Android TV will not only show you all related results in Google Play but also results from Netflix, Hulu, etc. The second possibility is a list of featured apps, that top Android boxes provide, like BBC iPlayers, Netflix, Amazon Instant Video, etc. On selected TVs and devices, you may also see the manufacturer’s apps. Games? Why not. Best Android boxes provide a list of all the games you’ve downloaded. Android TV supports single-player, multiplayer, online, and offline gaming. If you already know Android, do not hesitate and check out the best, and at the same time cheap Android TV boxes, that FindPare has filtered out for you.